Designed by W. Elliott Dunwody, Jr., Beeson Hall was originally constructed as a women’s dormitory in 1937. The building had not received any major renovations since that time and was eventually vacated in 2000. In 2015, a rehabilitation was undertaken. The building had been updated to accommodate new codes and different uses; however, much of the original plan as well as features including the plaster, doors and windows were retained and restored. 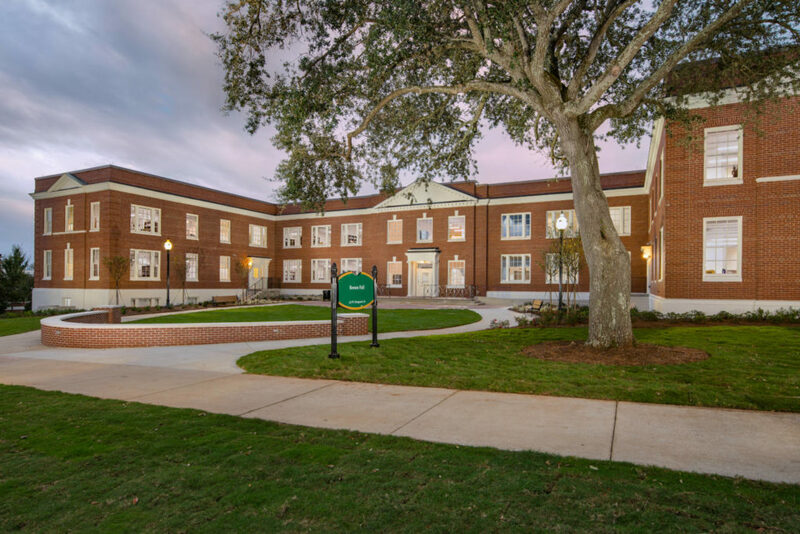 The completed renovation provides the school with a new campus resource to promote teaching and learning for STEM oriented programs while preserving the architectural character of the historic campus core.